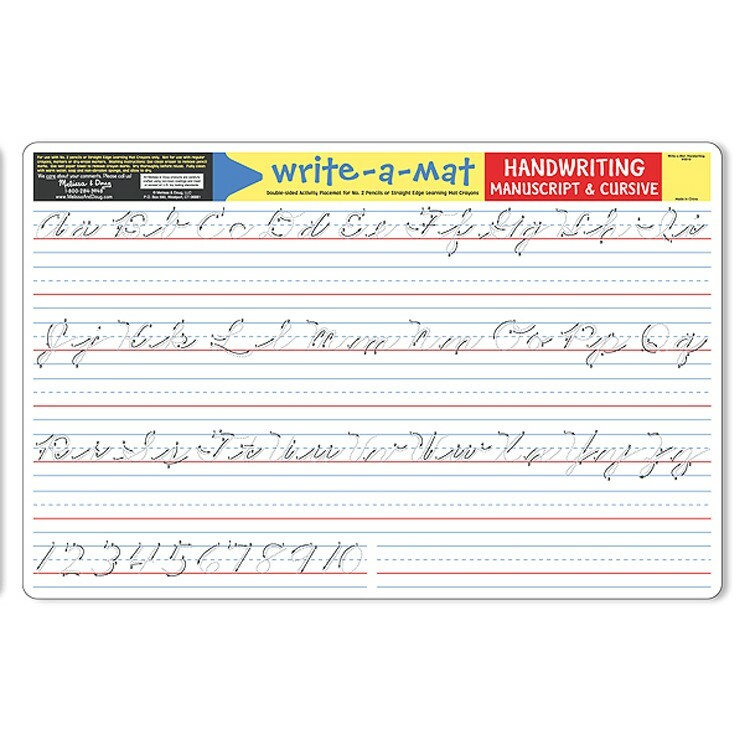 Practice handwriting skills again and again with this reusable Handwriting Write-on Learning Placemat by Melissa & Doug. 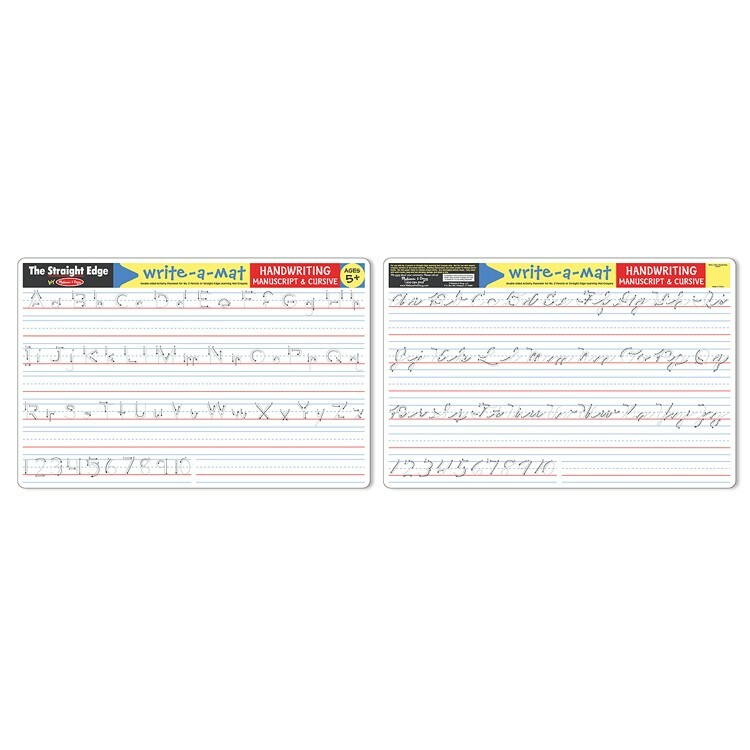 Practice handwriting skills again and again with this reusable Handwriting Write-on Learning Placemat by Melissa & Doug. This attractive table mat can be used during mealtimes and writing learning time. 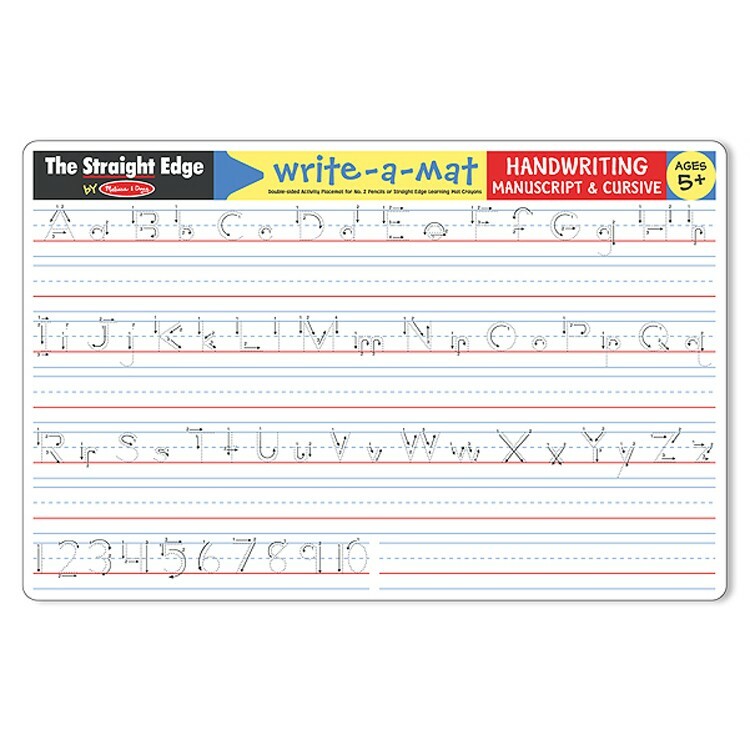 This double-sided handwriting wipe-off placemat will develop the small motor skills and offer handwriting skills assistance for your child. 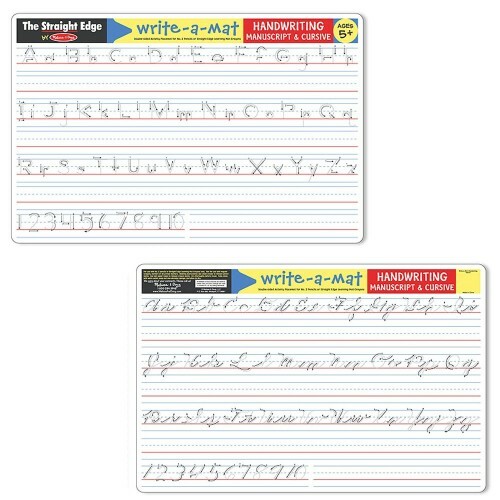 The Handwriting Write-on Learning Placemat is a durable activity mat for use with our write on, wipe off multi-colored Learning Mat Crayons (sold separately). Find more reusable educational placemats at Educational Toys Planet. Write your own review of Handwriting Write-on Learning Placemat. Rating: 5 Ideal for any age by Jessica G This mat can be used again and again for learning writing and more. Your preschooler can practice pre-writing skills and your older child can use the lines to practice their names or other important words. Then, they can erase it and do it again and again and again. This is also great for practicing vocabulary or spelling words or for just having fun at dinnertime.